Emily Wanjiku, wife of Githunguri MP, Gabriel Kago, has denied the allegations that her husband assaulted her. Speaking to the press on Monday, Emily dismissed the reports that she had been beaten by her husband. Ms Wanjiku was accompanied by her husband, Mr Kago, during the press conference held in Kiambu, where she claimed that the reports were aimed to tarnish the name of her family. “I want to register my disappointment about information that has been trending on social media touching on my personal and family life. The intention of those reports was only to tarnish my name and that of other family members,” Emily said. She claims that the stories were maliciously sponsored to bloggers by her husband’s opponents and says that the assault did not happen. Despite the accounts that Wanjiku reported the matter to Kiambu Police Station under OB. number 05/27/09/18, both herself and Mr Kago dismissed the allegations. Mr Kago refused to comment further on the matters citing not to discuss family issues. According to the standard, Kiambu DCIO Paul Wambugu confirmed that a case of assault was made by the MP under under OB. Number 45/27/09/18. “This is a domestic issue but we are treating it as purely criminal since no one is supposed to assault any person. We will get to the bottom of the matter since both of them have injuries. We will then decide whether we will charge one or both of them,” he said. 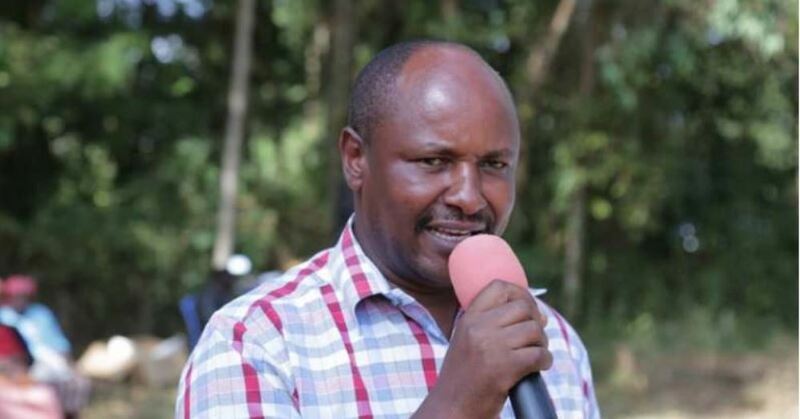 Kiambu police boss Patrick Kiprop also confirmed that the MP had reported that he was assaulted by his wife. Federation of Women Lawyers Kenya (FIDA) had called on the Inspector General of Police and the Director of Public Prosecutions to investigate and prosecute Githunguri MP, Gabriel Kago.